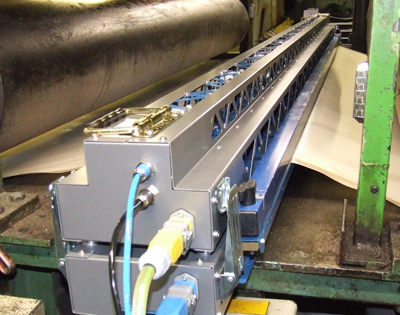 Inert Belting and materials offer a Splicing service for our entire belting range. In many cases belts can be fitted with ease by the customer. In cases where the belt needs to be spliced whilst on the machine, we can either conduct this work when required or supply equipment and training to allow our customers engineering team to fit their own belts. This in many cases can reduce the time it takes to get the machine up and running and therefore reduce the overall cost. Our latest range of presses boasts a complete cycle time of 30 minutes from start up to press removal. Our presses are ultra light with our 2.5m wide press only weighing 68kg when in one piece as it breaks into two parts for belt insertion and removal. We also supply a repair kit comprising of a high temperature iron and all the items need to effect a repair to PTFE composite conveyor belt , keeping a belt running and reducing replacement costs.